Anthony Munoz is a former NFL offensive tackle who played for the Cincinnati Bengals from 1980 to 1992 and the Tampa Bay Buccaneers in 1993. Munoz is an eleven-time Pro Bowl player from 1981 to 1991, a nine-time First-Team All-Pro for 1981 through 1983 and from 1985 through 1990 plus a two-time Second-Team All-Pro for 1984 and 1991. Munoz has earned numerous awards and honors including the Bart Starr Man of the Year for 1989, the Walter Payton Man of the Year in 1991 as well as the NFL 1980s All-Decade Team. Anthony Munoz was inducted into the Pro Football Hall of Fame in 1998. PFP Sports Talent Agency is a top booking agent for motivational sports speakers and sports personalities. 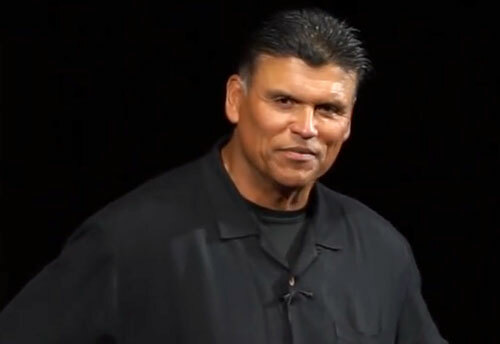 If you would like to book NFL stars like Anthony Munoz for a speaking engagement, personal appearance or special event, you can request Anthony Munoz agent and speaker information from PFP Sports Talent Agency or call 800.966.1380.